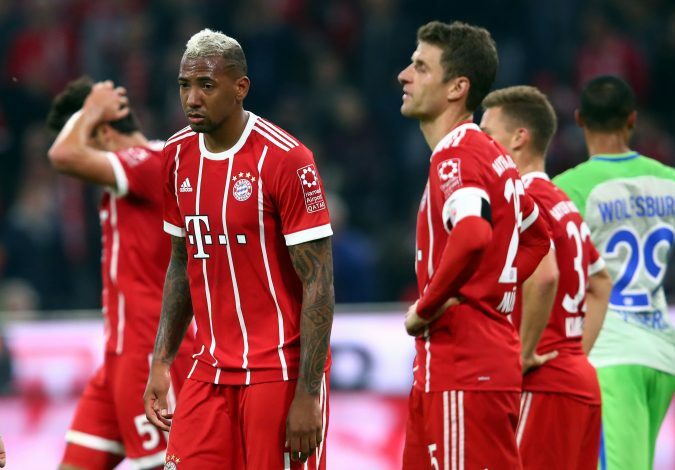 Jerome Boateng could be a target for clubs in the summer transfer window, after Bayern Munich confirmed that they will negotiate if a team comes with an important offer. The veteran defender has been eyed by Manchester United in the past, but Bayern weren’t willing to listen to offers. But now, with the latest developments, the Red Devils may be tempted to vouch for the player. Reports have stated that the Mancunian giants are keen on signing Tottenham star Toby Alderweireld for quite some time now. But there is a stumbling block in the deal, as Spurs have slapped a £75m valuation on the Belgian international. But now, Boateng could be available as a great substitute for Alderweireld. The German international has played 258 games for Bayern, and has netted 8 goals. The 29-year-old could be a superb addition for any top European club. Moreover, he has won every trophy at Bayern, which makes him a genuine winner. But the question lies whether United will actually go in for him, or choose to pursue other defenders. Jose Mourinho is also said to be analysing other targets in the meantime. United are sorted in defence, with many players in contention for the central spot. Currently, there are six defenders in United’s kitty, with all of them vying for the starting berth. Even Daley Blind saw his contract get extended by a year, which suggests he might not be heading out just yet. This presents an important scenario for Jose, and only time will tell if he goes for a new defender, or looks to bolster his options in other areas.